Beenmore is about midway along the ridge between Been Hill and Drung Hill, but is higher than both. It dominates the valley of Gleensk and features prominently in the view from the Kerry Way. Beenmore is the 179th highest place in Ireland. Picture from riverlaune : The summit of Beenmore looking towards the Dingle peninsula. 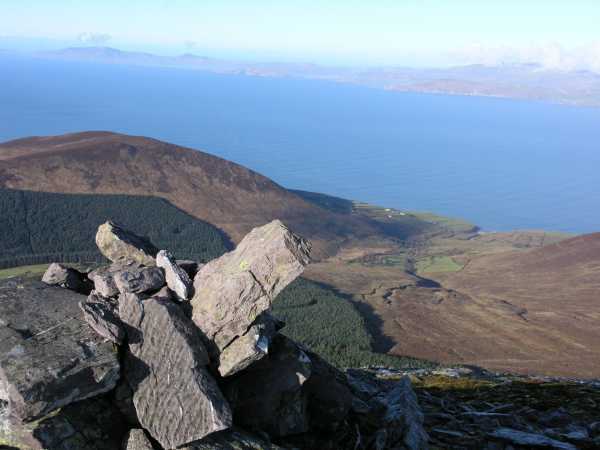 Picture: The summit of Beenmore looking towards the Dingle peninsula.